Ambient techno exponent, A Sagittariun, fires off another full-length album transmission this April on his own Elastic Dreams label. Elasticity is the Bristol based artists second long player, and the follow up to his acclaimed 2013 debut, Dream Ritual. 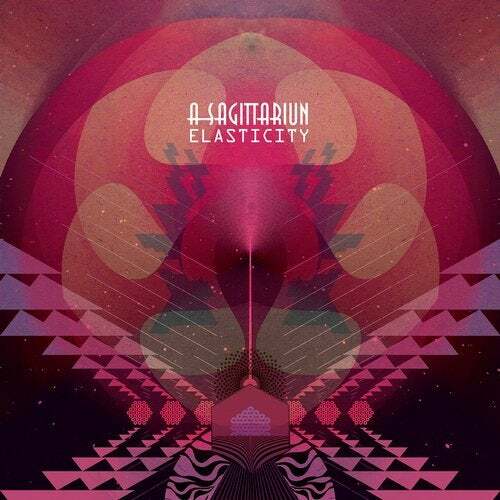 Having last released a trio of singles in early 2015 (for Hypercolour, Secret Sundaze and Elastic Dreams), Elasticity marks a return for A Sagittariun, and fans of the slippery and elastic sounds that hallmarked his debut album will not be disappointed. Dream Ritual helped firmly establish A Sagittariun as an artist whose musical chops and integrity operate largely outside of the mainstream and a producer who chooses to put the music firmly center stage, whilst opting to remain relatively anonymous within the music scene. Over the albums 11 tracks, and a supporting cast of transmissions from the likes of Robert Anton Wilson and Terrence McKenna, Elasticity delves into a myriad of textured sounds and pliable rhythms, touching of ambient, industrial, breaks and dub influences. A two track 12 single, Contortion/Concrete Walls will be released one month prior, and features a couplet of 140 BPM techno tracks.